Bio: Rob became interested in the paranormal over 30 years ago when he was witness to things that he was never able to adequately explain, even to himself. He has done extensive research on the subject and has a scientific mindset and approach to any investigation. Rob also conducts and oversees all of the team training for new investigators. He is also directly responsible for the very popular “Ghostology” series of programs that are presented at local libraries. Rob really wants to go to Waverly Hills, but Hope wants to go on a cruise. He lost, but he’s hoping for a haunted cruise at least. Bio: Hope has actually lived with a haunting and as such, brings a unique point of view and perspective to all of the investigations. She takes a compassionate approach to both the clients and the suspected hauntings, especially if it is believed that the haunting is caused by a child spirit. She also enjoys being one of the teams Spirit Photographers and is very proficient with all of the equipment and habitually thinks “outside of the box” during investigations. As if all of this wasn’t enough, she also makes the best chocolate chip cookies, just ask anyone. Bio: Lynn’s first experience happened when she was first married. Lynn lived in a very old home where the cellar door would open and slam shut, she awoke one night to a large dark shadow hovering over her. She closed her eyes and opened them again but it was gone. Lynn has always had a fascination for the spirit world, so when her father passed away and her family started having experiences at her mother’s house, she contacted Agawam Paranormal to investigate. Lynn is a believer in the “other side” and takes comfort in the idea that the physical world is not all there is for us. Bio: A lifelong resident of New England, Caitlin has had a passion for the paranormal for as long as she can remember. From reading books on ghosts and spirits in elementary school, to studying the supernatural from an academic perspective in college, she has always had a deep fascination with all things unexplained. Caitlin hopes to expand her knowledge and understanding of the subject as a member of the Agawam Paranormal team. Bio: Liette first became interested in the paranormal field about 20 years ago when she realized that her deja vu moments were caused by dreams that she had had years before. Liette believes that people can communicate with those that have passed on and that active spirits are often trying to comfort those left behind or in need of some sort of help. Bio: John brings a unique prospective to the investigative process. Being a former Police Officer of 15 years, an Army Veteran with 17 years of service as well as a paranormal investigator for 3 years, John has a natural ability to question situations and experiences with an objective mindset. John has always been curious as to what is beyond death and has actually experienced several unexplainable events himself. This has encouraged him to search for the chance to possibly identify the reports of sights, sounds or activity from others. John always tries to maintain an open mind in order to find answers to the findings, whether they are explainable or not. Bio: Christine started experiencing psychic abilities around the age of 12 years old. She feels that she inherited these abilities from her grandmother, who she was extremely close to, and believes that this gift runs in her family. She was hoping an opportunity to expand her abilities would come up, so when she was approached by Agawam Paranormal, she felt that this was going to be a perfect fit. Her personal mission is to create more acceptance within the community towards psychic phenomena and to help trapped spirits to move on. Christine has also recently become a published author and also has been instrumental with local law enforcement on cold cases. Bio: Sharon has had her own experiences with the paranormal and has heard of many other instances where spirits of loved ones let people know that they are still around or are in a better place. For example, at the funeral reception for Sharon’s brother, which was on the day of the October 2011 snowstorm, the lights flickered for just a moment at the reception hall but stayed on. At the end of the evening, it turned out that the reception hall was one of the only places in town that still had power, without the use of a generator. Sharon believes that her brother kept the lights on for them. Sharon is very curious when it comes to the paranormal but she is also very cautious in her approach. Bio: Jodi was the founder of P.T.O.M. (Paranormal Team Of Michigan), who has recently moved back to Massachusetts and joined up with the Agawam Paranormal team. Jodi has had many different experiences during her time with P.T.O.M. with the paranormal and always seeking answers to the unknown. Jodi is very excited to be joining such a great group of individuals (her words, really) who share her love of the paranormal. Also being a professional baker, she is looking forward to creating some custom cakes, cup cakes and other treats for the team (Mmmmmm…Cup Cakes). Bio: Laurie has been a resident of Western Massachusetts her whole life. She has been interested in the paranormal for most of her years as she has had several experiences, starting at the age of three. Laurie is also a historian who brings her knowledge and love of research to the team. Laurie always tries to remain objective during our investigations and is one of the team’s “hand-held” camera operators. She also has a beautiful singing voice! Bio: Jodi had some paranormal experiences at the early age of 4 years old. Those incidents prompted an interest in ghosts and hauntings that have only intensified with the years. She brings a logical and no-nonsense attitude to the team, along with a sense of fashion. She also enjoys learning about the paranormal in an effort to remove some of the fear that she felt in her youth. Bio: Sharon, since an early age, has experienced a “sudden knowing” that someone had died, was in pain, or was in trouble. Researching genealogy these past five years, she feels she has been “led” to several graves of her ancestors. Sharon hopes that her “sixth sense” will aid her in researching and investigating with Agawam Paranormal. Bio: Ed witnessed a partial body apparition (full face) with his son about 25 years ago. Ed later discovered that the face was the former homeowner’s. This experience created an intense interest and curiosity in the paranormal. Ed feels that his involvement with the Agawam Paranormal team is a perfect fit for him as he shares the core values of helping people. Bio: Rick met Rob in Kindergarten and began a life long friendship. He has been a major part of many projects with Rob over the years and has finally decided to join the paranormal community by becoming a part of Agawam Paranormal. Rick has always had an avid, but skeptical, interest in the unknown and is looking for possible evidence towards maybe explaining some experiences that he has had over the years. He also brings a vast knowledge of electronics as well as a “hands on” approach to the Technical Department. Bio: Bobby grew up in an old farmhouse in Southwick and was always terrified of certain areas of the home. Every time that he would walk into his parents’ bedroom at night, he would see a figure standing there. This figure would come around from his father’s side of the bed and walk towards him but it would never reach him. It wasn’t until he was older and living in a different house that the “Ghost Shows” started airing on TV. Bobby realized what he had experienced all those years earlier was a true paranormal experience. Come to find out, every member of his family have had experiences there too!!! Bio: Jeremy is very interested in the evidence review aspect of the investigation. Jeremy has a keen ear for EVP work and the computer skills to match. His attention to detail is an extremely valuable asset to this team and he also designs and creates many of the items available to the public for Agawam Paranormal. JG Designs is his project and baby. Bio: Carl grew up in Agawam but moved to West Springfield where his paranormal experiences started in an apartment, built in 1855, that he was living in. Since then there have been multiple experiences in other places that he has moved to. Now back in Agawam, he brings his electrical and technical background to every investigation. Bio: Greg takes a “no nonsense” approach to pretty much all things in life, so paranormal investigations are no exception. Greg always tries to find physical reasons and conditions for experiences that are reported to be paranormal. Greg feels that if the team cannot find an explanation for an event, this strengthens the claims of the client. Greg is very well grounded and never jumps to conclusions, which is a real asset to the team. 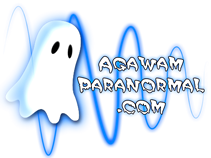 Bio: Joy is so thrilled to be on the Agawam Paranormal team. Her husband Ron used to ghost hunt with Joy, prior to his unexpected passing in January of 2013, and Joy feels certain that Ron would be thrilled that she is continuing the hobby that they both loved so very much together. Joy has become a very valued member of the Agawam Paranormal team and gets to visit many great haunted locations and experience more of the paranormal first hand. Joy also loves to bake her famous “Confession” brownies and makes a mean hot buffalo dip too. Bio: John has been a local resident for his entire life and has been interested in the paranormal since he was just a young lad. The house that John grew up in was very active and he was witness to several paranormal occurrences there over the years. He is one of the team’s “hand-held” camera operators and a Command Center trained member. John always keeps an open mind during investigations. Bio: Stephanie has been a believer of the spiritual world for as long as she can remember. She actually grew up in a house where almost constant unexplained experiences were the norm. Stephanie would witness the sounds of footsteps, knocking on doors and objects moving or falling for no reason. She has done extensive reading and research on the subject of spirituality and is now inspired to join the “hunt” with a mindset to try and help any trapped soul move on with communication and compassion. Bio: Heather joined Agawam Paranormal in the very beginning of 2018. She was told, by her wife, that she needed to get a hobby and so she started attending the Ghostology presentations being held at the West Springfield Public Library and was immediately hooked. The technology that is used within this field had her complete attention from day one. Heather says that “I’m very proud to be a team member and I’m always ready for the next adventure”. Bio: When Rich was a young boy, he had an experience that’s had him asking “What’s out there?”. It was a mid summer’s night when he was about 13 or 14 years old. Rich was in bed asleep and jarred awake by a hand grabbing his leg. He darted up in bed as the ceiling above his head literally came crashing down on his pillow, right where his head had been only a moment before!!! He looked around his room, but there was nobody there. Rich went and asked his parents if they had woken him but their answer was “No”. To this day, Rich believes that it was his Guardian Angel that protected him and kept him from harm as the chunk of plaster and wooden strips actually pierced his pillow. That’s when Rich, understandably, became interested in the paranormal.